The most commonly found type of scoliosis is called “adolescent idiopathic scoliosis”. Idiopathic means “of unknown origin. Research however into the cause of scoliosis seems to suggest that there is often a genetic factor which affects the control of the growth of the spine. Scoliosis can affect both children and adults. In children it can be a more serious condition because it can rapidly progress as the child grows. Scoliosis is usually first seen in children between the ages of 11 and 15. However, it can occur in younger children aged 3 to 10 years (juvenile scoliosis) and in babies (infantile scoliosis). Scoliosis can also occur in adults with no previous history, due to spinal degeneration and advancing age. This is called (De Novo scoliosis). If scoliosis is detected and treated early, patients can avoid these symptoms in many cases. If left untreated, scoliosis can sometimes require surgery. In surgical cases, the bones of the spine are sometimes fused together and metal rods are inserted to try to straighten the spine. If the correct approach is used early enough, bracing is an effective treatment for halting the progression of scoliosis curves and reducing the need for surgery. In adults pain and poor posture are the most common complaints. Sometimes ongoing progression can also be an issue. Often regularly prescribed treatments for the pain associated with adult scoliosis do not help. Fortunately new treatments such as the adult brace and intensive exercise rehabilitation offers these patients new hope. A ScoliBrace is a super-corrective brace. It works by guiding the body and spine into a posture that is opposite of how the scoliosis is shaped. ScoliBrace opens and closes at the front making it easy to wear and remove without assistance. There is a variety of colors and patters available for patients to personalize the look of their brace. 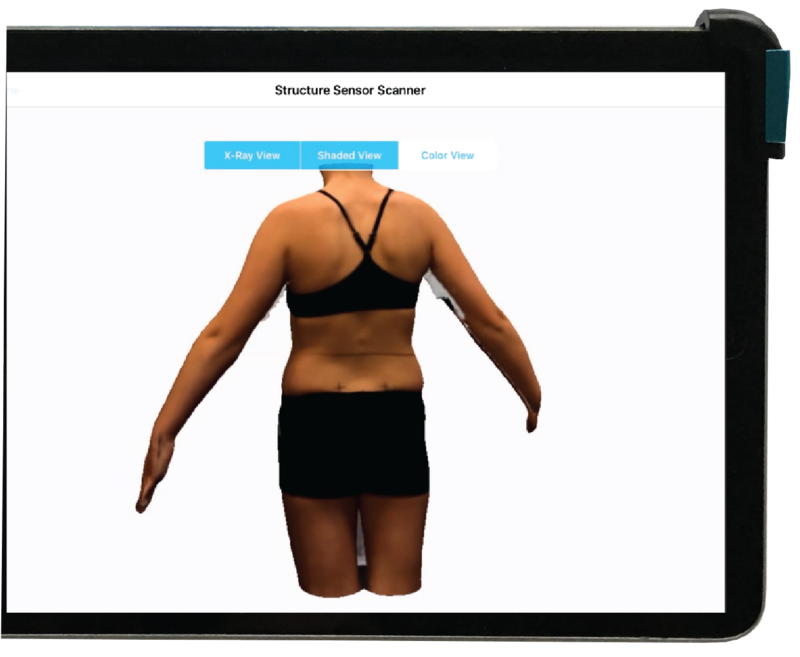 BraceScan combines 3D full-body laser scanning technology, X-rays and posture photographs. Each brace is custom designed for the individual with Computer Aided Design(CAD) and then created with Computer Aided Manufacture (CAM).